Heartbreaking news: Laila Kasdi (left), mother of Nor Saidatul and Jamiah Saiman, mother of Nur Amira, crying as they are consoled by a relative at the Forensic Unit of Sultanah Fatimah Specialist Hospital in Muar. MUAR: Three factory workers who were among the 14 victims who died in the fatal bus accident were supposed to tie the knot with their respective partners next year. One the victims, Nor Saidatul Akmal Idris, 21, who worked in an electronics factory in Senai near Johor Baru was supposed to wed her colleague Mohd Hanizan Othman, 30, next month. Mohd Hanizan said most of the wedding preparations were almost completed and their wedding invitation cards were ready for distribution to relatives and friends. Nor Saidatul was on board the ill-fated bus with her friend, Nur Amira Izzaty Razip, 22, who was also engaged to be married and both of them were on their way to Negri Sembilan to attend another friend's wedding. "Nor Saidatul was supposed to go for her dress fitting on Sunday," Mohd Hamizan told reporters at the Sultanah Fatimah Specialist Hospital forensic unit yesterday. "I had a minor disagreement with her before she boarded the bus at around 1.30am yesterday and did not contact her ever since," he said, adding that he found out about the incident at around 11am when Nor Saidatul's brother contacted him. Nur Amira's fiance Hary Ramlan, 26, said he was reluctant to allow her to attend her friend's wedding in Negri Sembilan as he was worried about her safety. "We have been together for five years and have been engaged since May. We were supposed to get married in May next year," said Hary. He said Nur Amira, the first daughter of six siblings, did something that was out of character when she suddenly asked him for forgiveness last week. "I had dropped her and Nor Saidatul off at the bus terminal at around 9pm and we WhatsApped until about 1am. "During our conversation, she mentioned that she had a feeling of going away for a while," he said. 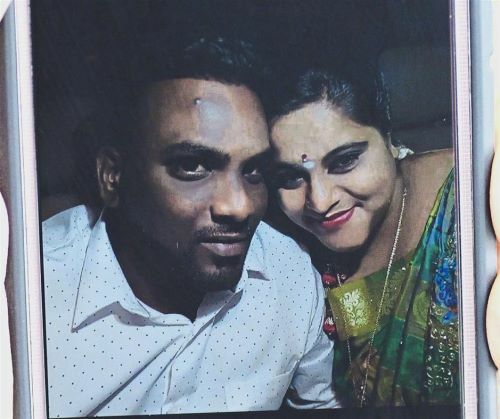 V. Srinivasan, 30, the brother to the third victim 25-year-old V. Renugah, said that his sister, a factory worker in Singapore was supposed to tie the knot in March next year. "My sister was travelling home with her fiance, Keseven, for our family gathering at our home in Taman Bayu Perdana, Klang," he said, adding that she was the youngest among three siblings. "She called my mother before boarding the bus asking her to prepare her favourite vegetarian curry."